Discover how to improve your mental game—the next frontier in sports training matter your age or experience and become the play make Rs or the decisive General on the court or field. Coaches search for it. Parents dream of it. Fans love it. Athletes want it. The play make Rs on any sports team possesses it: an elusive, intangible quality combining anticipation, perception, and decision-making skills. This quality raises their game above the competition and allows them to pass when no one else can, anticipate the movement of opponents, and avoid costly mental mistakes, thus holding the team together. Using today’s technology and tools, it is now possible to understand, assess, and train this sixth sense rather than just hope it magically appears. Now, for the first time, cognitive science research is revealing the secrets of the playmakers keen sense of awareness. Just as tests of speed, strength, and agility have provided a baseline of physiological biomarkers, coaches can now capture cognitive metrics including attention, pattern recognition, anticipation, and the ability to take quick, decisive action during the chaos of competition. 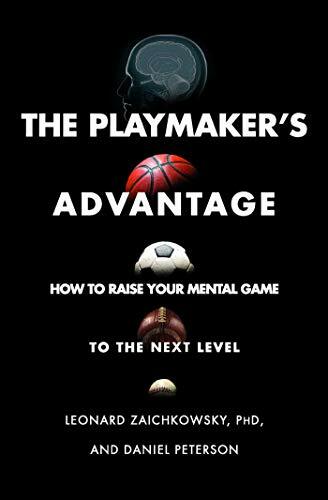 The playmakers advantage is a ground-breaking book that will educate athletes of all ages about this essential creative capability in an accessible, easy to understand method.